Sports physicals are necessary at many schools before a child can be cleared to play on a sports team. 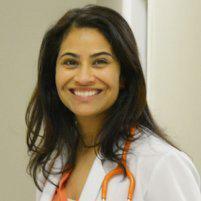 Seema Sharma, MD offers sports physicals for patients in and around west Las Vegas, Nevada and surrounding areas at VIPediatrics of Las Vegas. Sports physicals are used to assess an adolescent's health and fitness as it relates to sports. This exam differs from a typical school physical as the doctor will test for any diseases or injuries that could be unsafe for the athlete to participate in sports. A pediatrician can perform sports physicals. Sports physicals are recommended to be performed at least six to eight weeks prior to the sports season starting. This will allow for enough time to treat any ongoing condition if it is discovered during the physical. If performed within the right period, the athlete can recover and be cleared to play in the upcoming season. What can be expected during a sports physical? The pediatrician will usually start with a thorough medical history, which will involve asking questions about their history of illness, hospitalizations, or injuries that could keep the athlete from playing. The student will also be asked to fill out a questionnaire so that the pediatrician gets a better idea of the students daily habits and lifestyle choices. To ensure your child stays healthy and active, make sure they have a sports physical in the recommended period prior to starting a sport. For questions, or to schedule an appointment, contact VIPediatrics of Las Vegas today.